Car owners are always looking for ways to save a few bucks behind the wheel. (Heard of Gas Buddy?) Maintaining your car and keeping it healthy is a great way to prevent expensive trips to the mechanic, but did you know, proper maintenance can also improve your miles per gallon and fuel economy? Save at the pump and keep your car running smoothly. You’ll get more MPG — and as a result spend less on gas — if you regularly mind a few details on your car. Keeping your tires properly inflated can improve your gas mileage up to 3.3% and help your tires last longer (underinflated tires create excess road friction and take more energy to get moving). Fix maintenance issues when they first appear. Letting problems linger can reduce your MPG, especially if they are issues like a faulty oxygen sensor. Make sure your gas cap has a tight seal and battery cables are not corroded. Keep your air filters clean. And it’s always a good idea to keep up with your oil changes, not to mention, it can improve your gas mileage 1-2%. Just be sure to properly recycle the waste oil if you do it yourself. Saving fuel can be as easy as emptying your trunk. An extra 100 pounds in your vehicle could reduce your MPG by about 1%. Remember: Along with what you drive, an important determinant of MPG is how you drive. Learn to drive more efficiently. govis your #1 resource on how to improve your fuel economy. It includes maintenance guidance as well as suggestions on how to drive to improve fuel economy and a list of vehicles with the best MPG. The EPA’s recommendations for car maintenance. The Department of Energy’s tips for maximizing fuel economy. The EPA’s tips for saving gas and maximizing fuel economy. 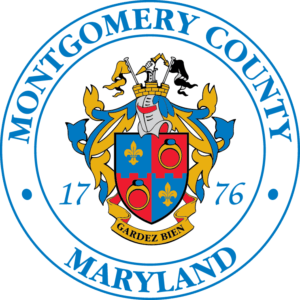 Recycle motor oil in Montgomery County. Your incentive is obvious: Save money at the pump! Proper car maintenance combined with sensible MPG-wise driving habits can add up to significant savings every time you fill up.